Because we live and work on the Gulf coast, pest control in Houston is a career field that is always in demand. Stuart’s Pest Control would like to extend an invitation to you to join our team. According to the Bureau of Labor Statistics*, job prospects for those considering a career in pest control are expected to be very good. A high school diploma is generally the minimum educational requirement; although most states require pest control workers to be licensed through training and examination. Pest control as a career offers several occupational avenues: technicians, applicators and supervisors. Position titles and job duties can vary by state. 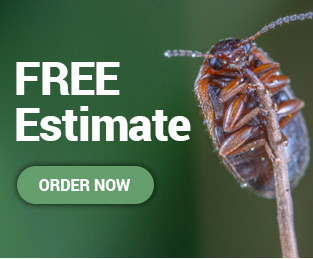 Pest control technicians: Professionals who directly interact with clients to identify potential pest problems, conduct inspections and design pest control strategies. Applicators: Pest control workers who perform more complex tasks and are well trained in the use of a wide range of pesticides and specialize in a specific area of pest control. Pest control Supervisors: Also known as operator, direct technicians and applicators; licensed to apply pesticides but take on a supervisory role. Stuart’s Pest Control offers top pay and a stable, professional work environment to Certified Applicators and Technicians willing to maintain high standards. Do you have any medical or physical handicaps? Do you have any objections to a thorough background check? How long have you resided in the Houston area? Any auto accidents in the last 5 years? How long in the Houston Area?